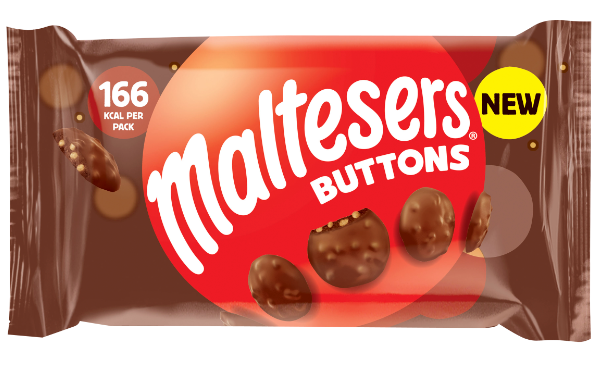 Maltesers are launching buttons and truffles after months of rumours and speculation – and they look incredible. Before you ask, they most certainly are coming to shelves in the UK, which makes a happy and welcome change. Some people have been lucky enough to have had their hands on the new chocolate snacks and it seems to have gone down pretty well. There had been rumours circulating earlier this month with little understanding of where they’d started and either it was even going to happen. But alas, all is right with the world and it has been confirmed. We are extremely excited to be launching these new products. Maltesers Buttons is a new bitesize way to enjoy our signature crunchy chocolate while Maltesers Truffles is a perfect gift for any occasion – if you can bear to give them away! No, I can’t, I’ll be stock-piling these and eating them all myself. According to the Independent, Maltesers Buttons will be available in a 32g bag for 66p, a 68g treat bag for £1.19, a 93g pouch for £2.09 and a 159g more to share (or not share) bag for £3.29. 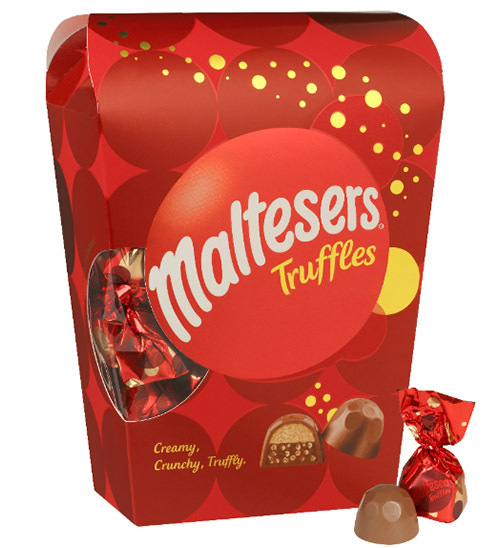 Maltesers Truffles will be available in a 54g token gift box for £1.99, a 200g medium gift box for £4.99 and a 336g large gift box for £7.49. Mars, who owns Maltesers, also owns M&Ms, you may or may not have known. Well, M&Ms have released a Neapolitan ice-cream flavoured version of the sweet treat, which is only available in America and in the US. Typical. The flavours consist of chocolate, vanilla and strawberry – the classic Neapolitan ice-cream flavours. Despite not being available in the UK, you can buy bags of them on Amazon or eBay, but at inflated prices obviously, and annoyingly. Topping my list, at least, Toblerone ice-cream. Tesco are selling them for £3 – for a pack of three – which is, if my primary school maths allows, £1 each, if I’m not mistaken. The ice-cream is chocolate and honey flavoured, encased in a milk chocolate shell and bejewelled with fragments of almond nougat and even more honey, and they come in that classic shape as well. I might order 2 million of these and keep them just for myself. And while churros are fairly easy to make yourself, you don’t have to go to the effort because Lidl are saving you the trouble. They’re cheap, too. You can pick up a 500g bag of the good stuff for just 99p. Not only are they 99p, they’re really easy to make, you just heat them up in the oven for 15 minutes and serve with a dip or topping of your choosing. Nutella for me, but you can roll them in toppings such as cinnamon-sugar, caramel or chocolate custard – or, if you want to push the boat out, chocolate with chilli.